DOVER, DE – Chesapeake Utilities Corporation (NYSE: CPK), announced today, two executive appointments for the Company’s Delmarva natural gas distribution operations and mid-Atlantic propane gas distribution operation. Shane E. Breakie has been promoted to Assistant Vice President of Chesapeake Utilities. Mr. Breakie will assume expanded responsibilities regarding the day-to-day activities of the Company’s natural gas distribution systems on the Delmarva Peninsula. Andrew R. Hesson has been promoted to Vice President of Sharp Energy, Inc., the Company’s mid-Atlantic propane distribution business unit. Bob Zola, President of Sharp Energy, will retire this month. Chesapeake Utilities Corporation is a diversified energy company engaged in natural gas distribution, transmission, gathering and processing, and marketing; electricity generation and distribution; propane gas distribution; and other businesses. Information about Chesapeake Utilities Corporation’s businesses is available at www.chpk.com or through our IR App. Chesapeake Utilities, the corporation’s Delmarva natural gas distribution operation, serves approximately 78,000 residential, commercial and industrial customers in Delaware and Maryland. Chesapeake’s Delaware division serves southern New Castle, Kent and Sussex Counties. 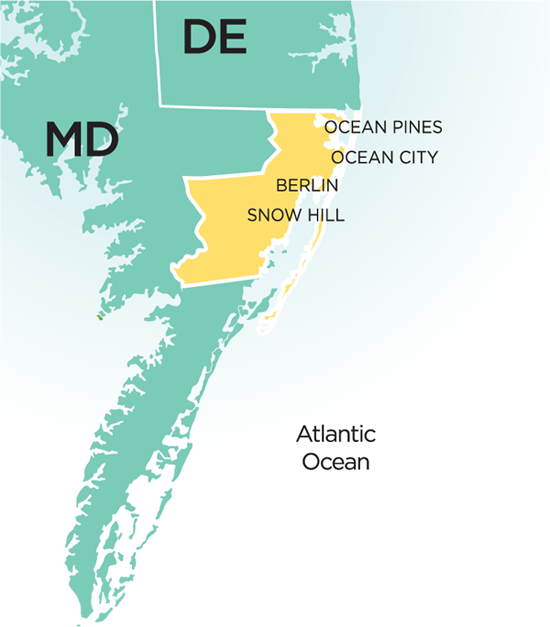 Chesapeake’s Maryland division operates on Maryland’s Eastern Shore in Wicomico, Dorchester, Caroline, and Cecil Counties. Its subsidiary Sandpiper Energy operates a natural gas and propane distribution system in Worcester County. Chesapeake Utilities, headquartered in Dover, Delaware, operates the only public natural gas fueling station on the Delmarva Peninsula.